New Student Convocation drew more than 3,000 new freshmen and transfer students to the Greek Theatre Monday. Welcoming the incoming students on stage were Harry Le Grande, vice chancellor for student affairs, Robert Reich, professor of public policy, Jonathan Poullard, dean of students and ASUC President Vishalli Loomba. 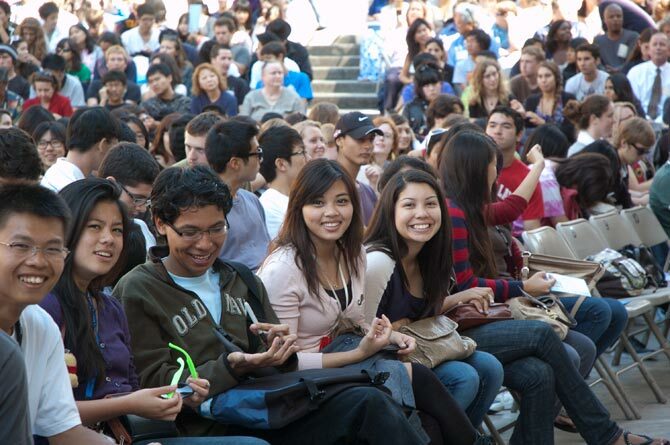 More than 5,600 new freshmen and 2,700 new transfer students are expected to enroll for the 2011-12 academic year.